“It's all about the people. I've made great friends here and learned such a lot - from visitors as well as the other volunteers." "What a fabulous place to garden." 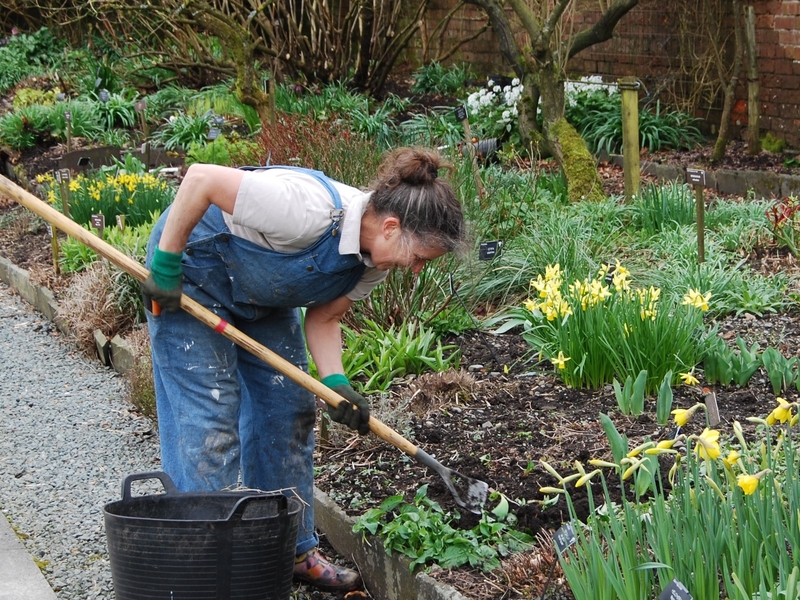 Holehird Gardens is run entirely by the volunteers of the Lakeland Horticultural Society. Apart from a few specialised tasks, all the work involved in maintaining the Gardens and keeping them open to visitors all year round, is done by our volunteer members. There are numerous ways in which members, regardless of their background or experience, can help with the management of the Gardens and the LHS itself. We always need more gardeners! Most of us are enthusiastic amateurs rather than trained horticulturalists. We help each other and learn from the more knowledgeable among us. Most gardeners work in teams with responsibility for a particular bed or area of the Gardens, while others focus on particular species. The propagating teams grow many of the plants you will see throughout the Gardens, as well as those for sale to visitors. The 'heavy gang' support the gardeners with more strenuous tasks such as mowing, creating paths and steps and moving heavy objects. Our largest group of volunteers are the wardens in Visitor Information who welcome visitors to the Gardens from April to October. 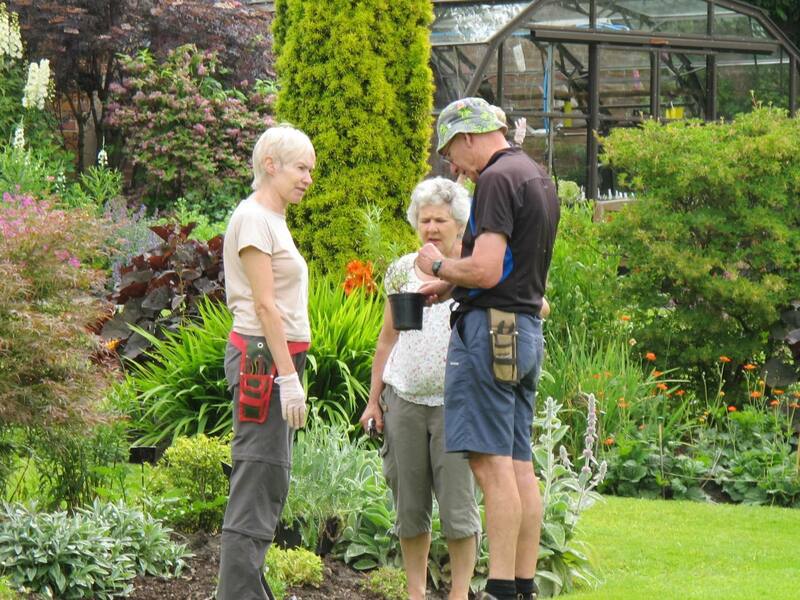 No two days in Visitor Information are ever the same but it is a very rewarding role since visitors are often keen to share their pleasure in the Gardens and their appreciation of our volunteers. 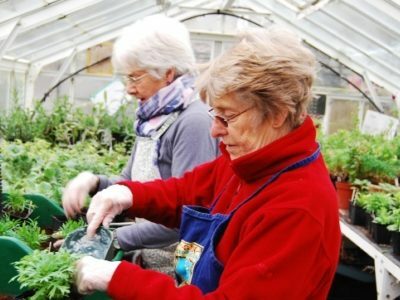 Other volunteers fill a host of vital roles from acting as occasional garden guides, producing publications for sale to visitors, IT support, finance and office administration and so on. The volunteers of the LHS are an enthusiastic and friendly group of people, who share a love of Holehird Gardens and derive great satisfaction from playing a part in the work of this unique organisation. Why not consider joining us? 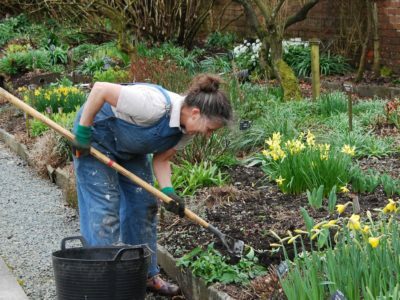 For more information about volunteering at Holehird Gardens as a member of the LHS, contact us by e-mail or phone, indicating which aspects of our work interest you so that you can be put in touch with the appropriate team leader.